Pink is flirty, fun and feminine. 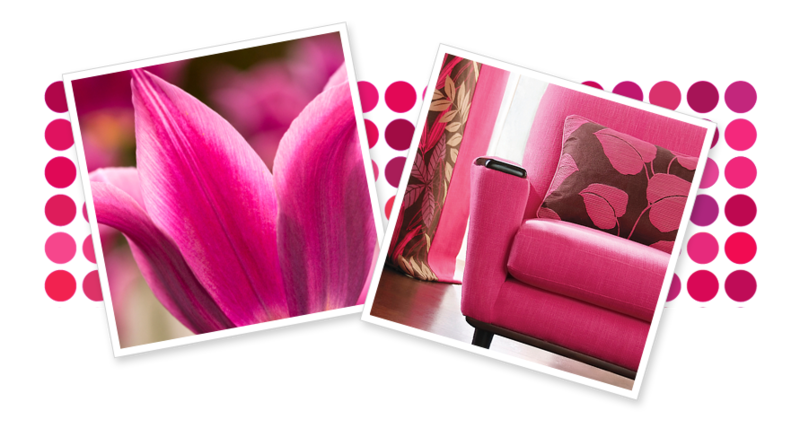 Lighter, more subdued shades of pink give off a soft and sweet feel, while bolder and brighter hues scream sassy and sophisticated. To evoke passion and energy, opt for deeper shades, but keep the colour muted to create a sense of calmness, tenderness and sensitivity.